Enriched by our vast industrial experience in this business, we are involved in offering an enormous quality range of Dry Ink Coder Machine. Incepted in the year 2007, we “SS Marketing”, are a Sole Proprietorship (Individual) Firm and the foremost trader, retailer , wholesaler and dealer of optimum quality Packaging Machine, Sealing Machine, Wrapping Machine and Plastic Bag Sealing Machine. Located in Chennai, (Tamil Nadu India), we have developed a state-of-the-art infrastructure facility. Under the valuable guidance of our Mentor “MR Sabu Mathew (Proprietor)”, we are effectively going ahead in this competitive industry. 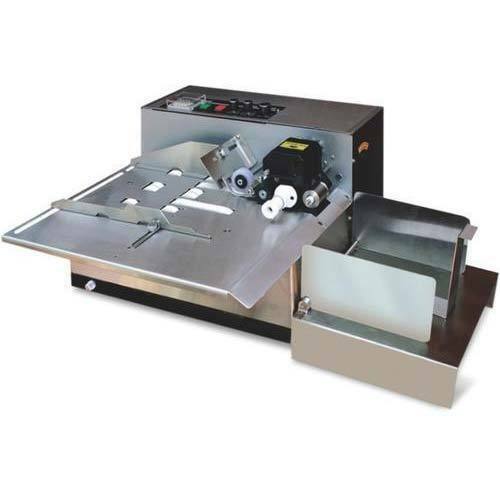 We are also providing Packaging Machine Repairing Service.